Bulk 100 QTY CL60360-LOCK 6 FT N. American IEC-Lock Power Cord 18AWG (Free Economy Shipping!) New! Price: $335.00, List: $499.00 - Save: $164.00! 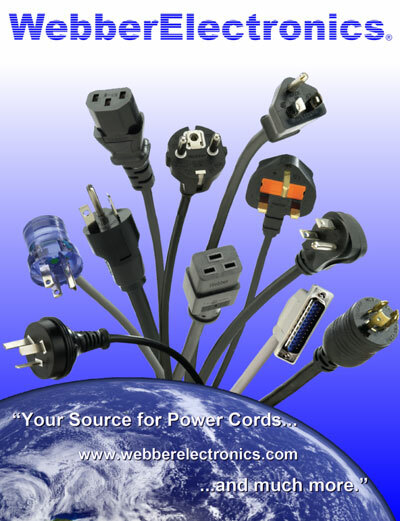 This is a very common power cord (cordset), and is used to power most modern home electronic devices. This includes, but is not limited to: HD TV's, home computers, LCD flat screens, DVD/BluRay players, and many other devices. This product is fully UL approved and complies with RoHS requirements. The CL60360-Lock is a universal power cord with an fully molded Locking (IEC-Lock) IEC320C13 female plug that connects directly into your device and the male NEMA 515P plugs directly into any standard wall outlet.